East of Sixty’s first Christmas production. 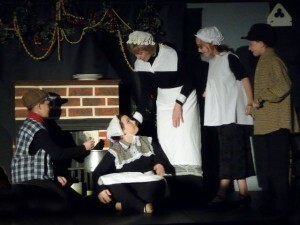 A dramatised reading of the Charles Dickens Classic, adapted by Janet Allcock, held at the Devon Legion. Profits were donated to the Friends of the Devon Library.